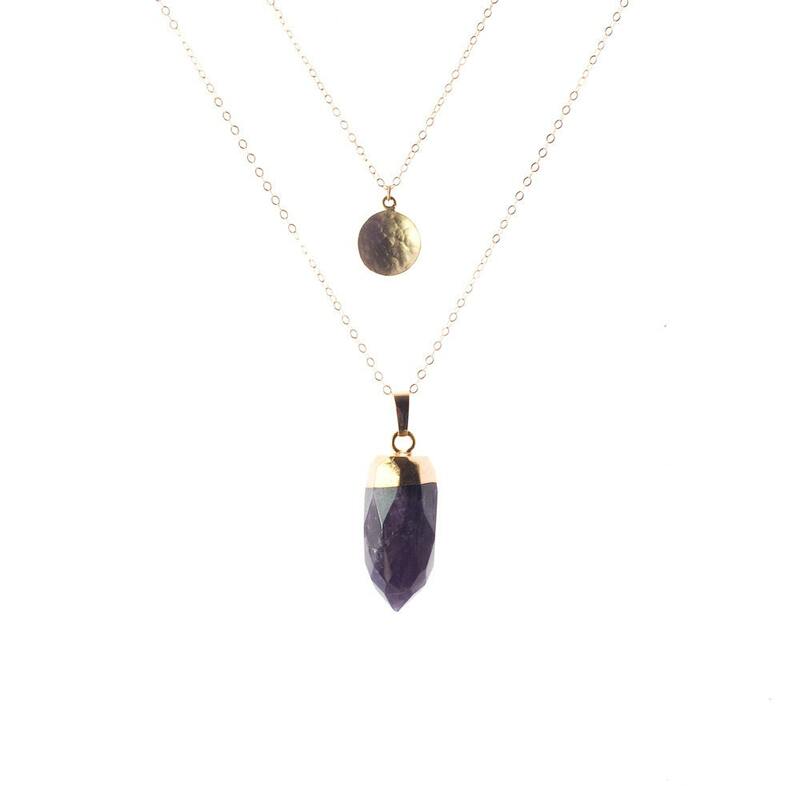 Shortest Length 16" 18" 20"
This gold layer necklace features a top layer of a hammered gold coin, and a bottom layer of a beautiful amethyst spike with a gilded cap. It's perfect for someone with a February birthday! 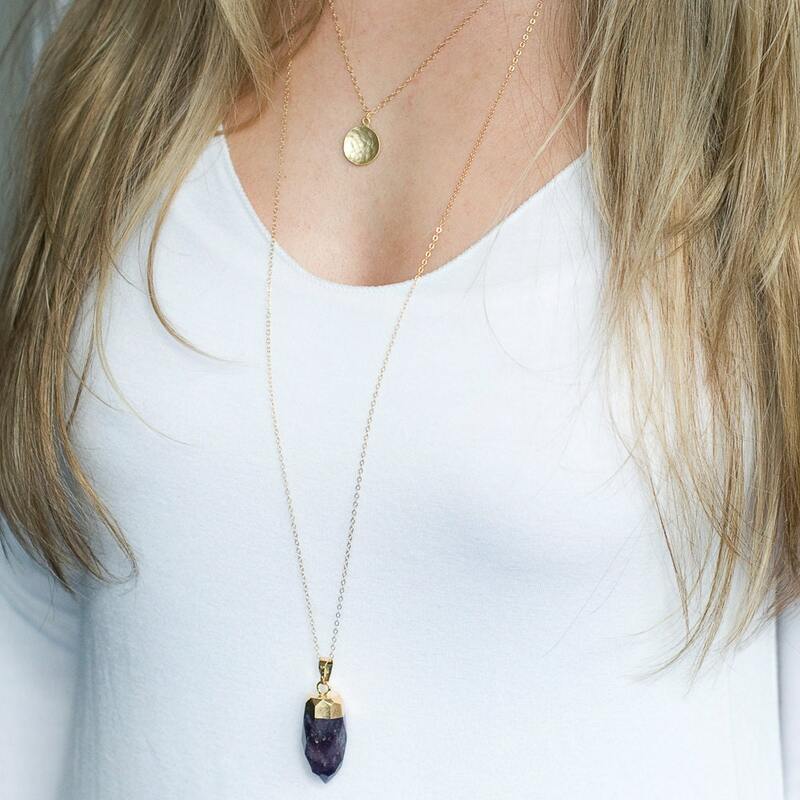 The model is wearing the coin at 18" and the amethyst at 30" and she is 5'2" tall. 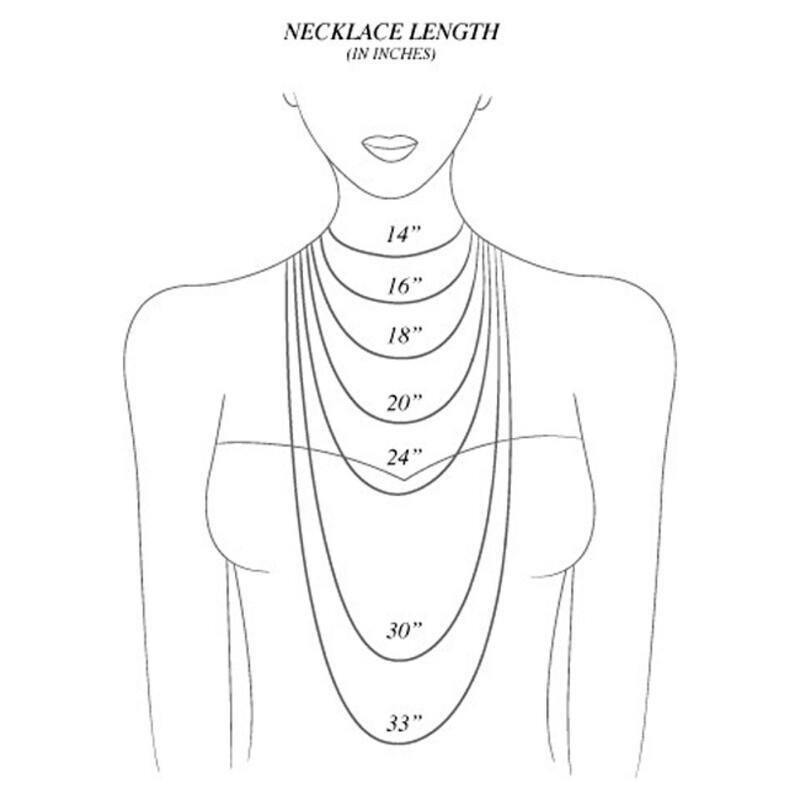 » Coin is about .5"
the following necklaces will be staggered by two inches. 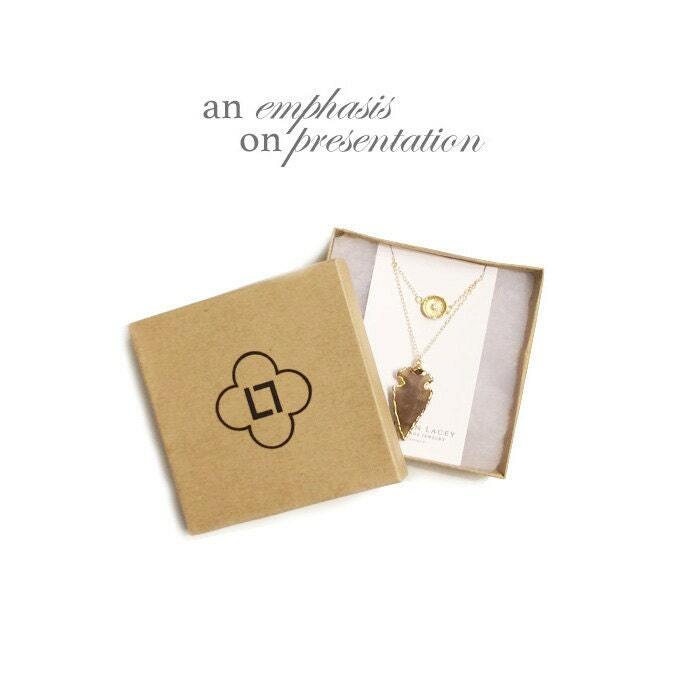 I love the necklace set. I wore it today and got compliments on how pretty it is.